Located in Southeast Texas on the Neches River, Beaumont has established itself as a premier sports destination with multiple state-of-the-art sports complexes and a sports-loving community. Founded in 1835, Beaumont is a city where the unmistakable cultures of Texas and Louisiana merge to create a lively locale. Beaumont is a heavy hitter in the sports tournament industry, but is also a haven for lovers of the great outdoors. Hikers and bikers can explore the various natural areas in or near the city, including Big Thicket National Preserve, a heavily forested area that is considered one of the most biodiverse in the world. Beaumont is home to Lamar University, a national Carnegie Doctoral Research University with 14,966 students. The school possesses an athletics program that competes in Division I and contends in 17 varsity sports. The city contains 24 softball and baseball fields in two locations and also features the newly built City of Beaumont Municipal Tennis Center, sporting 24 tennis courts in one facility. Not to be outdone, Beaumont’s Cris Quinn Soccer Complex boasts 30 manicured soccer fields along with an indoor soccer field that allows for climate-controlled play regardless of conditions while the Ford Park Entertainment Complex offers five versatile facilities that drapes across 221 acres. The McFaddin-Ward House is a historic home in Beaumont and is one of the few house museums in which the home’s original furnishings are intact and on display. It is also one of the few Beaux-Arts Colonial homes still open to the public. The Spindletop-Gladys City Boomtown Museum, in Beaumont, commemorates the discovery of the Spindletop Hill salt dome in 1901 that sparked an oil boom in Texas. The museum offers historical, period reenactments by area performers and a replica of the wooden oil derricks that once dotted the area’s landscape. The Fire Museum of Texas is located in a former fire station in Beaumont, and houses state-of-the-art interactive fire safety exhibits with a collection of antique fire equipment dating as early as 1856. Gator Country, in Beaumont, is the largest alligator adventure park and sanctuary in Southeast Texas, housing more than 450 American alligators, crocodiles and other reptiles received through rescues and donations. The Beaumont Botanical Gardens are a 23.5-acre garden of ever-changing beauty and is located near the entrance of Tyrrell Park, a 500-acre park. The gardens house the Warren Loose Conservatory, which features tropical and rain forest plants from around the world. One of the premier sports, entertainment and convention destinations of Southeast Texas, Ford Park Entertainment Complex is conveniently located minutes from Beaumont’s 3,740 hotel rooms, restaurants and attractions. The impressive complex features five venues that stretch across 221 acres, including 34,000-square-foot Ford Arena, a venue that is ideal for concerts, conventions and sporting events; 48,000-square-foot (and 11,000-square-foot pre-function space) Ford Exhibit Hall, which includes eight individual meeting rooms and can host consumer shows, conventions, concerts, gymnastics and martial arts competitions; Ford Park Fields, home to 12 baseball and softball fields; 14,000-seat Ford Pavilion, which hosts some of the biggest names in music and features first-class amenities; and Ford Park Midway, a nine-acre, 44,600-square-foot practice arena that is a perfect venue for fairs, festivals and rodeos. Featuring 12 championship-caliber youth baseball and softball fields along with all-weather turf infields, Ford Park Fields is a tremendous venue. The facility features covered bleacher seating with protective netting over all spectator areas, ensuring fans will enjoy the games in comfort. Ford Park Fields also includes designated team warm-up areas, concession stands, one centralized gates and 1,000 well-lit onsite paved parking spots. Live game web streaming takes place from all fields so fans can keep track of all the action. This venue plays a major role in hosting regional, state and national softball tournaments. 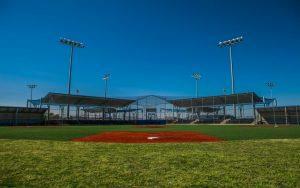 With 12 lighted softball and baseball diamonds, the Beaumont Athletic Complex can easily accommodate tournaments with 10 to more than 120 teams. The lighted softball diamonds feature bleachers on both sides and the complex also claims 24 lighted tennis courts, four of which are covered; four lighted sand volleyball courts; a soccer field with two goals; a lighted and covered pavilion with a basketball court; a playground and more than 500 parking spaces. 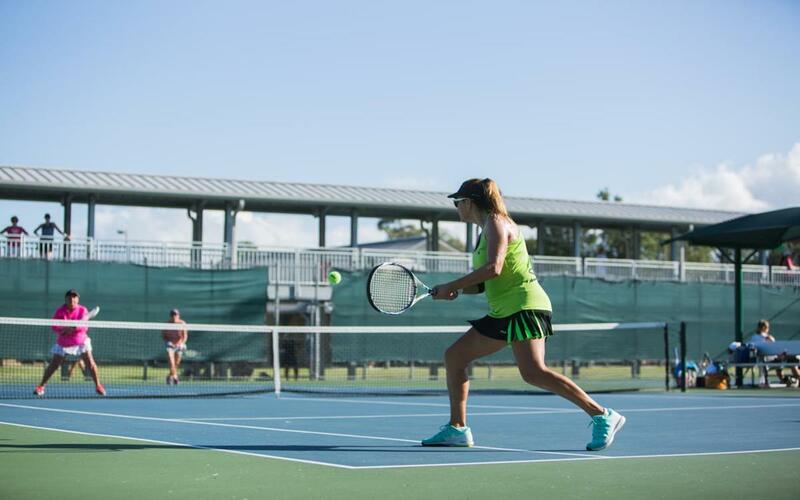 Beaumont’s newly expanded tennis center offers 24 tennis courts, with 20 lighted two-tone covered hard courts and four uncovered and lighted hard courts. A stunning addition to the Beaumont Athletic Complex, the Beaumont Tennis Center also includes a 4,500-square-foot clubhouse for tennis players with a pro shop, lounge, locker rooms and a large covered porch. 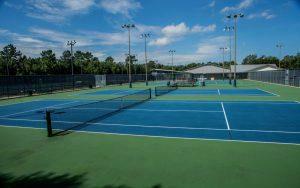 The center hosts a myriad of tennis tournaments from city championships and wooden racket tourneys to USTA Pro Future events. The Cris Quinn Memorial Soccer Complex features 30 well-maintained and manicured soccer fields that cater to both youth and adult leagues. The facility features one centralized gate and the Cris Quinn Indoor Soccer Field, which features an 85-by-185-square-foot artificial playing surface with an illuminated scoreboard. The field also offers a designated warm-up area that allows for climate-controlled play regardless of weather conditions. 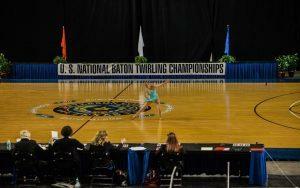 The Beaumont Civic Center provides 41,300-square-feet of versatile indoor space and offers flexible floor plans and room configurations to accommodate a variety of conventions and events. The complex provides 29,300-square-feet of exhibit floor space on the ground level with an additional 12,000-square-feet available on the upper level. The center has four dressing rooms with showers, 850 well-lit onsite paved parking spots (with limited RV hookups) and on-site catering and concession services. With a stadium seating capacity of 6,500, the Civic Center is ideal for a variety of indoor events and is within walking distance of downtown Beaumont museums, restaurants and attractions. By car: Beaumont is located near numerous major highways, including I-10, US 69, US 90, US 96 and US 287. By air: Jack Brooks Regional Airport is located 9 miles south of Beaumont’s central business district and serves the region with jet flights nonstop to Dallas/Fort Worth Airport.